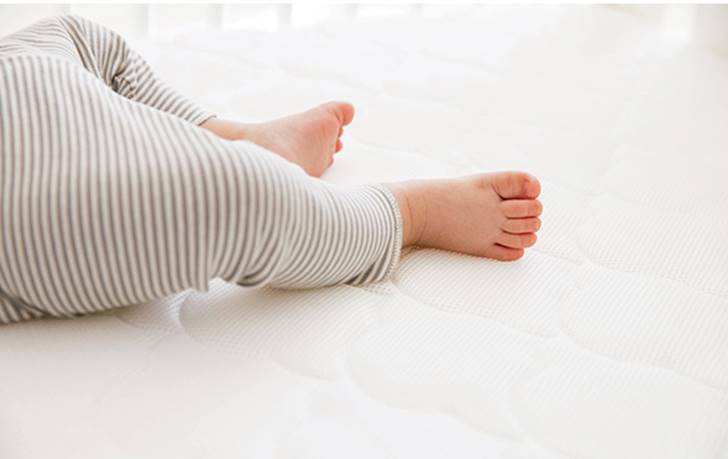 Innovative new crib mattress from Newton is washable and 100% recyclable! 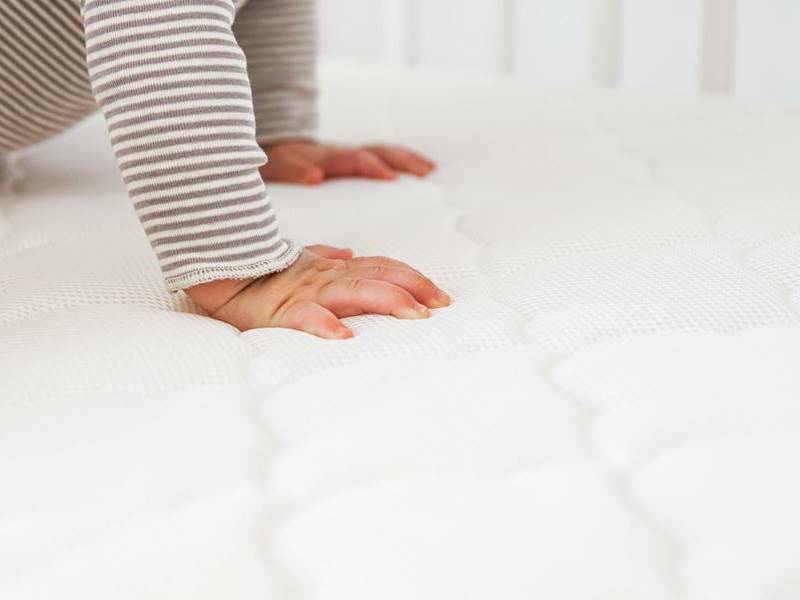 Newton has created a 100% breathable, washable and recyclable crib mattress, and according to the company, this was no small feat. Newton spent years of development on their now patented core material that allows you to clean your mattress from the inside out. And the unique cover design was selected for its breathability, comfort and washability as well. This is all very good news, especially considering that your little one will spend 70% of his/her time on his/her crib mattress. 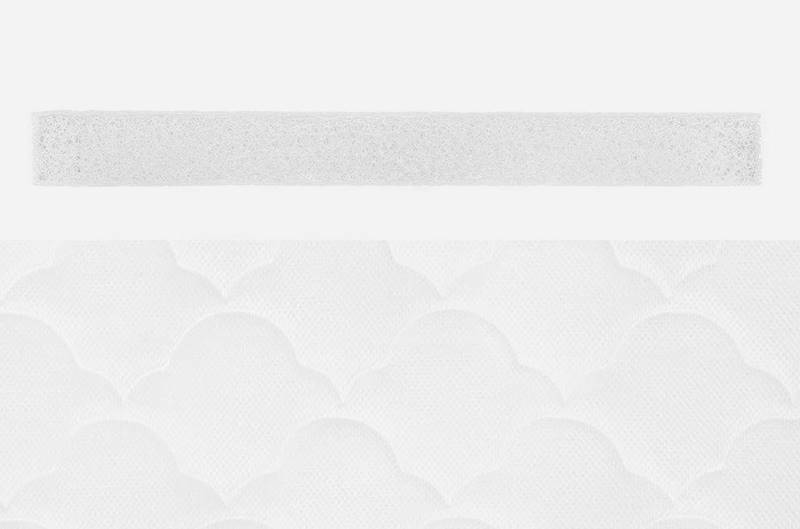 Keep reading to learn more about this innovative new baby mattress. The Newton mattress is made with unique, eco-friendly and super safe materials. 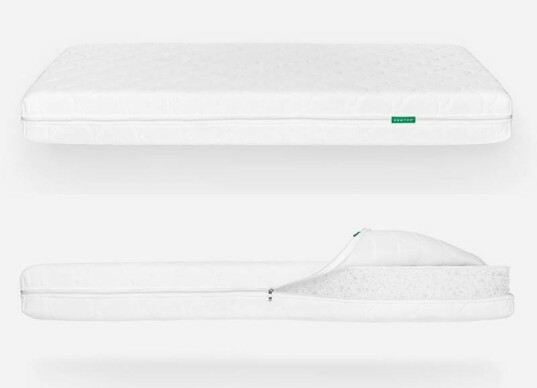 The mattress is made with an innovative core material called Wovenaire and surrounded by a breathable spacer fabric cover. The patented Wovenaire core, has a web-like construction, and is 90% air by volume. Because it’s light and airy it helps to reduce baby overheating and is as comfortable as a cloud, made of 100% recyclable food-grade polymer. Unlike foam and latex, these materials are completely safe, hypo-allergenic and won’t off-gas or leach chemicals. Newton’s cozy, breathable cover is made of two layers of three-dimensional spacer material quilted together in an attractive cloud pattern to create tiny pillows of air. The material is 100% polyester so you can zip the cover off for easy cleaning. To reduce synthetics in the mattress, neither the Wovenaire core nor the cover of the mattress are waterproof, but both are water resistant. This is one mattress that’s easy to clean. The cover is machine washable with cold water and a mild detergent on a gentle cycle, then air dry or tumble dry on a very low heat. The Wovenaire core can be hand washed in the shower or bathtub with a mild soap and cold water, then left to air dry. That’s clean sleeping from the inside out! The lightweight Newton is designed to fit snugly in all standard cribs and can be used as long as it fits your little one’s crib or bed. The mattress is a 2 stage mattress which means it’s designed to be firm enough for your baby but also comfortable enough for a toddler bed. Right now the mattress is only available for babies and toddlers, but the company says they’ll be making an adult-sized mattress soon. Newton uses zero toxic chemical fire retardants. Instead, Wovenaire contains natural phosphates, most commonly known as salt, a safe, halogen and heavy metal-free solution for achieving the fire safety standards that are required by the US government. Newton products are independently tested and certified by UL to meet Greenguard Gold standards for low chemical emissions and Newton products do not contribute to poor indoor air quality. Because this mattress offers exceptional breathability, it keeps humidity and moisture build up away which keeps dust and allergens at bay. One of the coolest things about this mattress is that it’s recyclable. If you give the company a call (800-686-3986) or send an email to [email protected] they’ll put you in contact with your closest available recycling facility. If there is no recycling facility near you, Newton will send you return packaging and arrange recycling from their own home base. 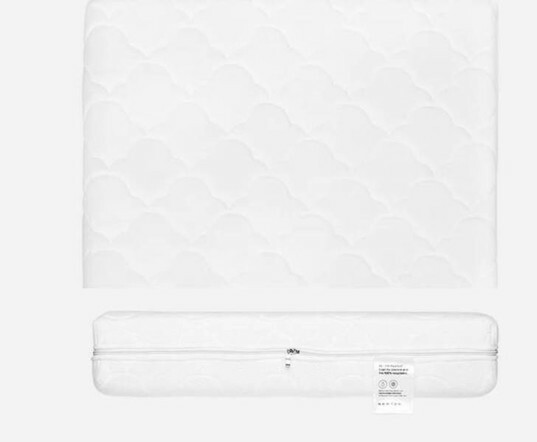 Additionally, this is a very affordable mattress, even with all the perks. To purchase, head over to the Newton website. The Newton mattress is made with unique, eco-friendly and super safe materials. The mattress is made with an innovative core material called Wovenaire and surrounded by a breathable spacer fabric cover. The patented Wovenaire core, has a web-like construction, and is 90% air by volume. Because it's light and airy it helps to reduce baby overheating and is as comfortable as a cloud, made of 100% recyclable food-grade polymer. Unlike foam and latex, these materials are completely safe, hypo-allergenic and won't off-gas or leach chemicals. This is one mattress that's easy to clean. The cover is machine washable with cold water and a mild detergent on a gentle cycle, then air dry or tumble dry on a very low heat. The Wovenaire core can be hand washed in the shower or bathtub with a mild soap and cold water, then left to air dry. That's clean sleeping from the inside out! The lightweight Newton is designed to fit snugly in all standard cribs and can be used as long as it fits your little one's crib or bed. The mattress is a 2 stage mattress which means it's designed to be firm enough for your baby but also comfortable enough for a toddler bed. Right now the mattress is only available for babies and toddlers, but the company says they'll be making an adult-sized mattress soon.